Inspired by the classic colonial design, Ole Wanscher designed the OW449 Colonial Coffee Table in 1964. As part of the corresponding collection, the coffee and side table brings the classic and restrained design of earlier times back into the living room. 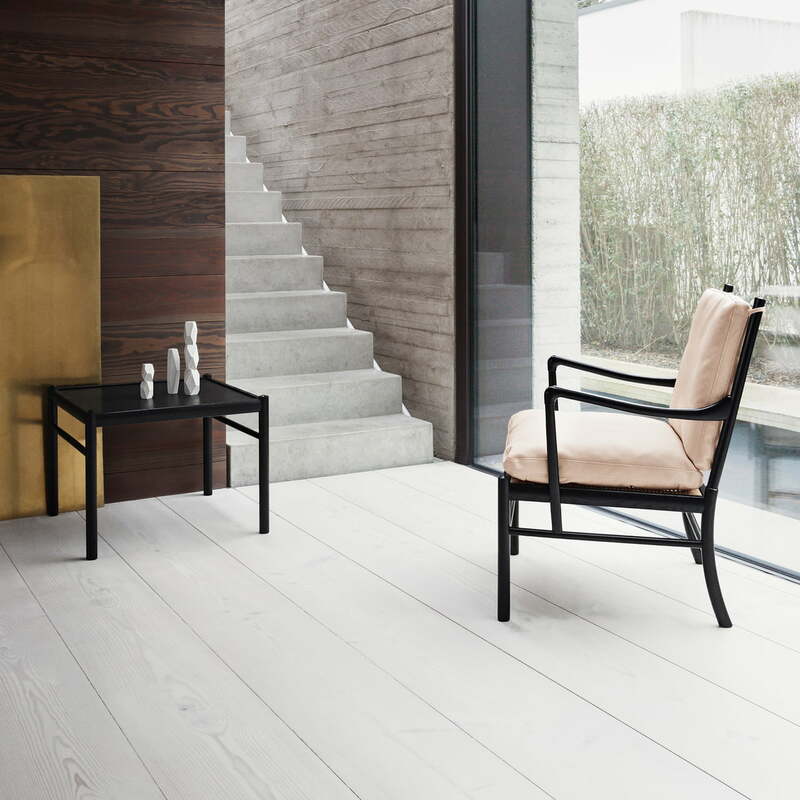 With a focus on natural materials and a high-quality finish, the table is available in different variants: oiled, black painted or treated with white oil. Thus, the table can be harmoniously combined with the other furniture of the Colonial series, such as armchairs and sofas. 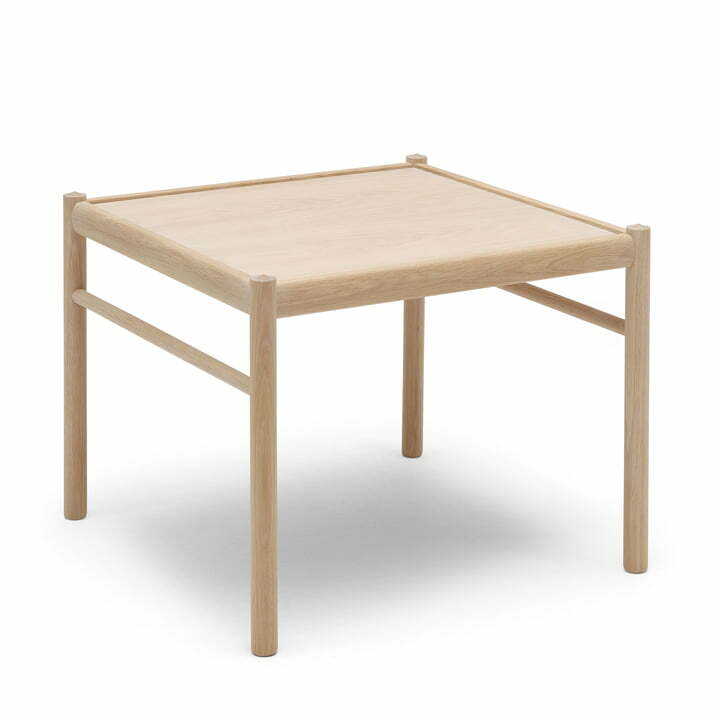 Individual image of the OW449 Colonial Coffee Table by Carl Hansen made of oiled oak. The simple and classic design of the side table supports the optical impression of the colonial series and sets a harmonious focus on the entire series. 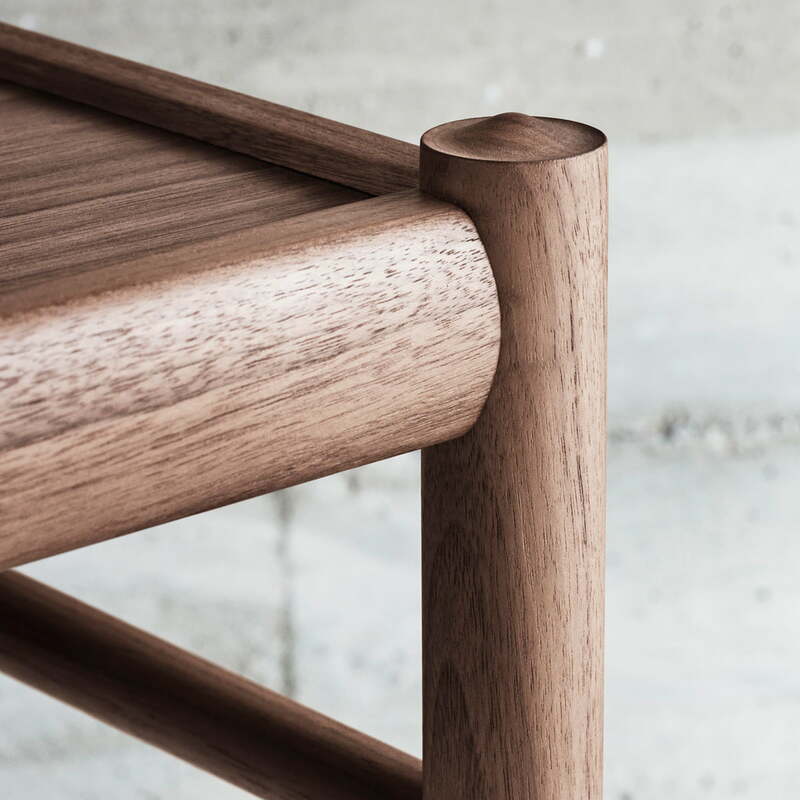 The OW449 coffee table by Carl Hansen in the detail view. A high-quality processed coffee table made of fine Walnut wood, using natural accents with an individual grain. 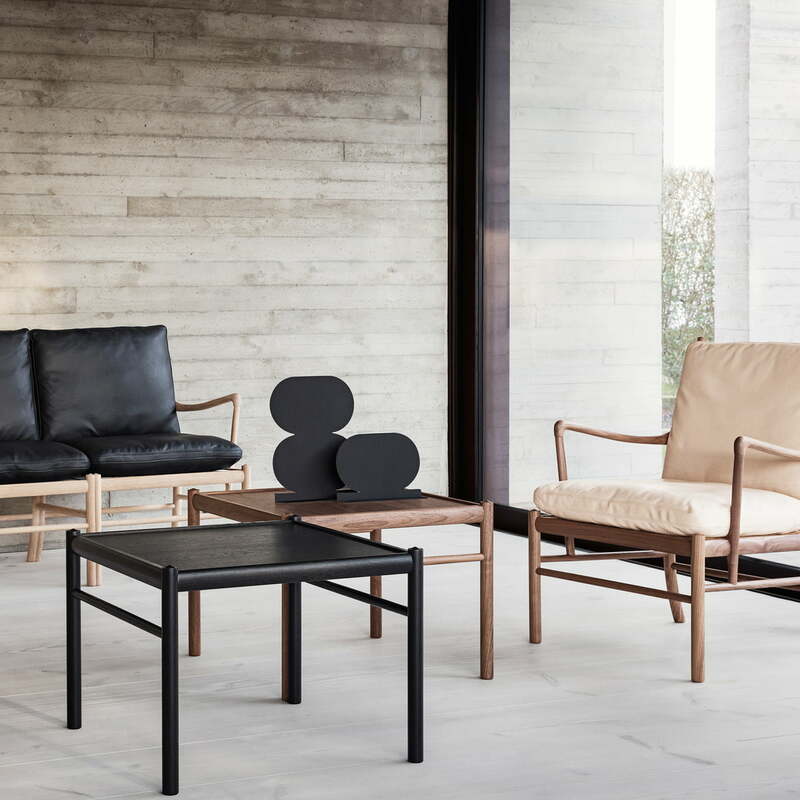 The OW149 Colonial Coffee Table made from oak in black by Carl Hansen and the OW449 Chair made of oak in black harmonise especially well with each other.